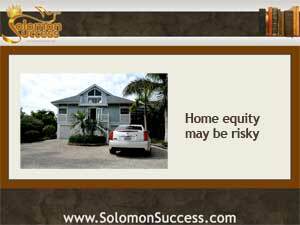 Even in King Solomon’s day, houses meant security, and also represent wisdom in the great King’s proverbs. But home ownership is more complicated today —and as a recent Washington Post story on the often-unscrupulous practice of tax lien investing demonstrates, even a home owned outright may not be so secure after all. According to the Post. a Washington DC homeowner lost his fully paid for home— with all its accumulated equity – all because of an unpaid property tax bill totaling just $134 This homeowner had a house worth nearly $200,000, which had been paid for two decades ago. But this unpaid property tax bill created the problem. In cases like this, the city can impose a lien on the property for the back taxes. Enter the tax lien investors, who buy up tax liens at auction and charge the homeowner interest and other fees for a few months. Then, if the debt isn’t paid, they foreclose on the property –leaving the homeowner with nothing. All too often, tax liens are imposed on older properties that have been fully paid off for a while. The tax bill in question is frequently minuscule, often long forgotten, or neglected due to an owner’s battle with dementia or other problems. The Washington Post piece notes a case involving a 95 year old woman in a nursing home who lost her house for a bill of just $44.79. Silver: More Precious than Gold in Today’s Merkets? Pocket Listings – a Devious Route to Home Sales?